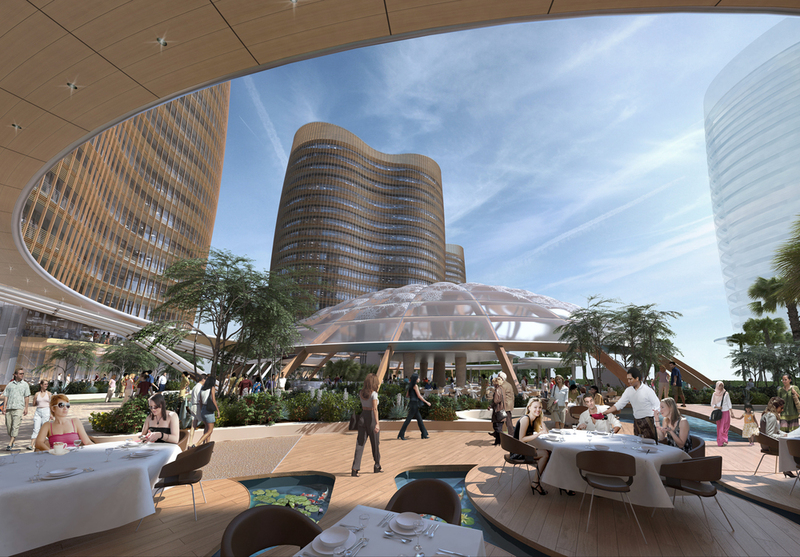 WKK created the concept design of this high-end mixed-use development. 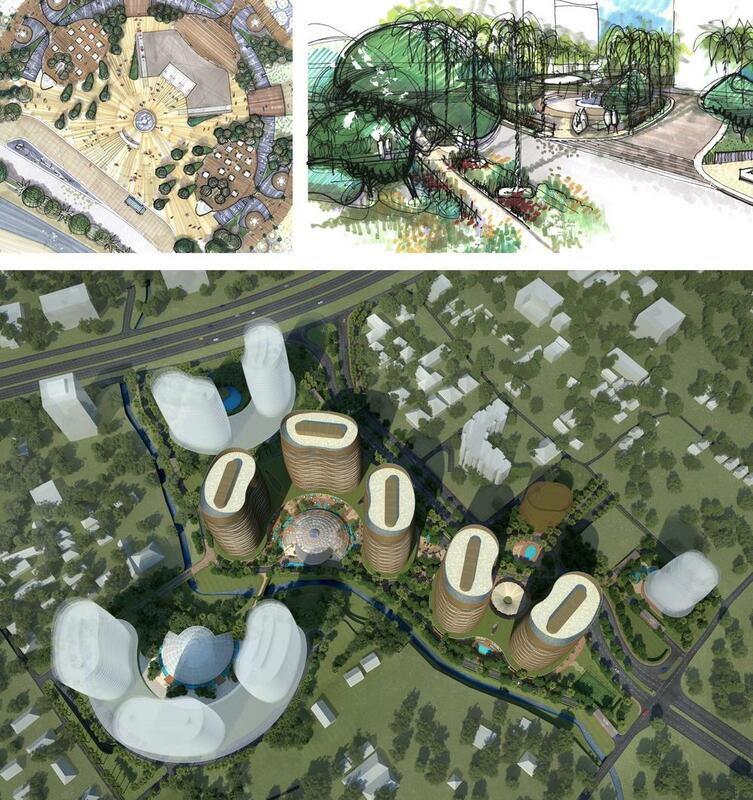 The detail design and site supervision were carried out by Wiratman & Associates from Jakarta. 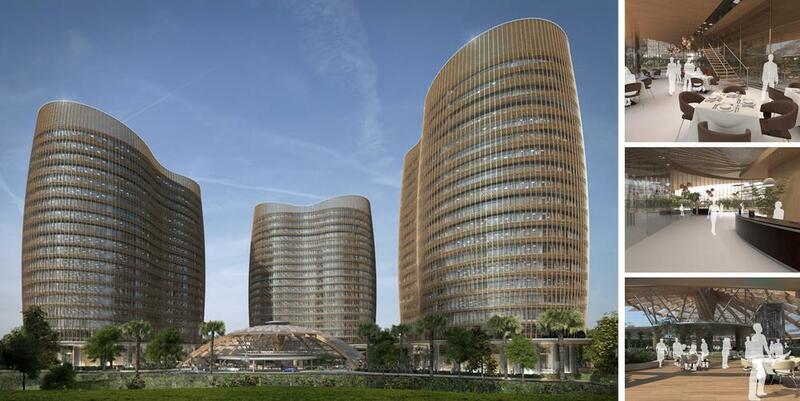 The development comprises of offices, retail mall, food & beverage outlets and serviced apartments set across three towers in Phase 1. It is located in South Jakarta with its surroundings tipped as a preferred location for multinational corporations setting up business ventures in Indonesia. The design was inspired by the nature of Indonesia, the buildings and landscape create a harmonious natural environment which promote healthy working and living spaces. The elements of architecture are muted to minimal natural shapes and geometry, with earthy shades of colour set within green park life. South Quarter strives to be one of the most sustainable developments in Jakarta with integral strategies to curtail energy use and conserve water. An innovative organic façade contributes to an overall reduction in energy demand of 35%. The canopy that connects the towers has deep overhangs and adds as a nature roof for rain harvesting. Grey water recovery systems provide an integrated water conservation strategy with a 25% reduction in fresh water demand for the project. Construction on Phase 1 started in August 2012 and was completed by October 2015. South Quarter Jakarta was runner up in the Mixed Use Building of the Year Category in the 2013 Emirates Glass LEAF Awards.